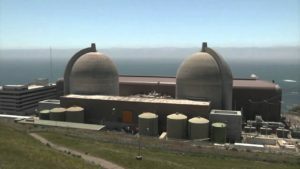 Most of the talk about the closure of the Diablo Canyon nuclear power plant addresses the economic impact. The lost of tax revenue for local schools. And the loss of hundreds of good paying jobs locally. Mike Brown of the Coalition of Labor, Agriculture and Business says there’s also a great loss of energy in the state. He said the Diablo Canyon nuclear power plant generates 10% of the power produced in California. It provides 20% of the power used in PG and E’s service area, which includes millions of customers from the Santa Ynez valley to the Oregon border. Brown says some environmentalists are now saying it may be wise to keep the nuclear plant operating because it provides clean energy. COLAB is hosting its annual dinner next week at the Madonna Expo in San Luis. The tenth annual COLAB dinner is next Thursday night at the Madonna Expo. You can buy tickets on the COLAB website.